WASHINGTON -- President Donald Trump is firing Veterans Affairs Secretary David Shulkin and replacing him with the White House doctor in the wake of a bruising ethics scandal and a mounting rebellion within the VA.
Trump tweets that he intends to nominate "highly respected Admiral Ronny L. Jackson, MD, as the new Secretary of Veterans Affairs." Trump says Robert Wilkie, an undersecretary at the Defense Department, will serve as acting VA secretary until Jackson is confirmed. 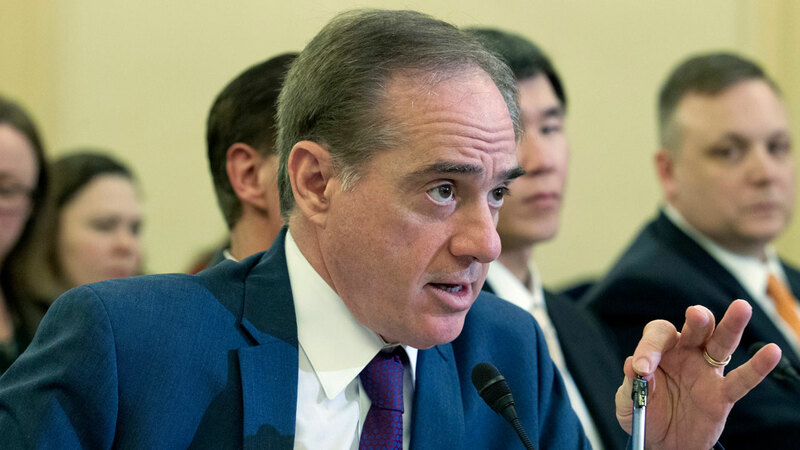 Shulkin is the second Cabinet secretary to depart over controversies involving expensive travel, following former Health and Human Services Secretary Tom Price's resignation last September. Trump says he is "thankful for Dr. David Shulkin's service to our country and to our GREAT VETERANS!"